Shafiul Islam (Bengali: শফিউল ইসলাম, born 6 October 1989) is a Bangladeshi cricketer. A right-arm fast-medium bowler, Shafiul has played for Rajshahi Division since 2006/07. The Bangladesh Cricket Board founded the six-team Bangladesh Premier League in 2012, a twenty20 tournament to be held in February 2011. An auction was held for teams to buy players, and Shafiul was bought by the Khulna Royal Bengal for $65,000. He was the team's fourth-highest wicket-taker with five wickets from seven matches. 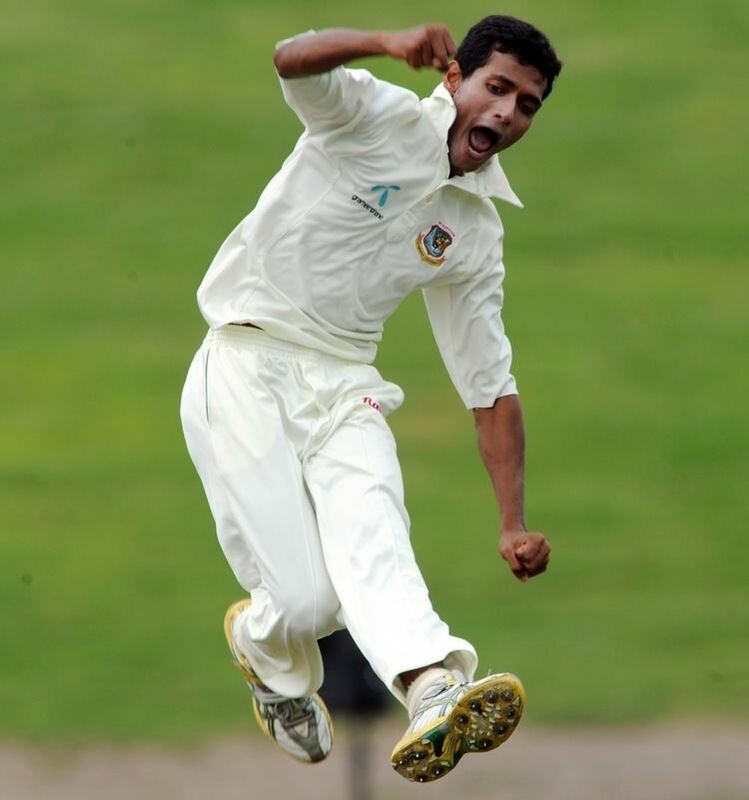 In April the BCB upgraded Shafiul' central contract from grade C to grade B.
Shafiul received his first international call-up when he selected for Bangladesh's squad for a tri-series with India and Sri Lanka in January 2010. He was the only player in Bangladesh's squad with no prior international experience, but his selection was based on his performance in Bangladesh's domestic league. He made his One Day International debut on 4 January 2010 against Sri Lanka. He opened the bowling with Rubel Hossain and conceded 39 runs from 5 over. He managed to take one wicket, that of Kumar Sangakkara who was caught behind for 74. After taking a wicket in each of his first two ODI matches against, he was named in a 14-man Test squad to play India later that month. He made his Test debut on 17 January and opened the bowling with Shahadat Hossain; India won by 113 runs and Shafiul's maiden wicket was that of Gautam Gambhir. In the space of a month, Shafiul twice conceded more than 90 runs in an ODI, first against Pakistan in June 2010 and then against England in July. Consequently he holds the record for most and second-most expensive bowling figures by a Bangladesh player in ODIs. Bangladesh hosted the 2011 World Cup in February, March, and April along with India and Sri Lanka. Shafiul was selected in Bangladesh's 15-man squad. On 11 March, Shafiul shared in a 58-run partnership for the ninth wicket to help Bangladesh to victory over England by two wickets. After the match, Bangladesh fans chanted "Bangladesh, Bangladesh Shafiul is the real hero". After the match, Shafiul and Mahmudullah were given 1 million taka for their match-winning partnership. Imrul Kayes was named man of the match, although he opined that "The last match Man-of-the-Match award was given to me but I did not deserve it. It was Shafiul who should have got it." The captain, Shakib Al Hasan praised Shafiul's performance and his bowling in the following match against the Netherlands. A foot injury meant Shafiul missed both the Tests against the West Indies in November 2011. Champaka Ramanayake, Bangladesh's bowling coach when Shafiul started playing for the team, commented that "Shafiul has lot of skill; has a very good slow bouncer and can bowl the yorker also. He has to be given enough chances to shine and we are very confident that he will come through". He generally bowls at the same length, and the national selectors feel that he needs to vary his bowling more to be effective at Test level.